Someone forgot to give the Montreal Canadiens the memo. That’s the only possible explanation, because, with points in their last seven games, the Habs are failing to go gently into that good night. 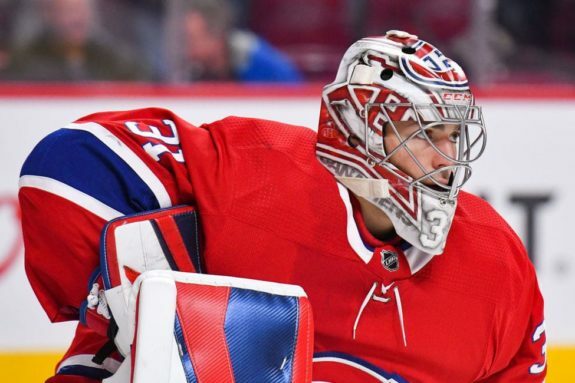 That’s in spite of Habs injuries piling up, including to the likes of their top three players: goaltender Carey Price, forward Max Pacioretty and defenseman Shea Weber. As impressive as all that sounds, there are caveats. They’re still just 25-29-11 on the season and aren’t even technically .500 over this latest stretch, during which they’re just 3-0-4. Despite being mathematically alive, the Habs still have virtually no shot at a playoff berth, at 10 points back of the Columbus Blue Jackets for the last wild-card spot and 24 behind the Toronto Maple Leafs for the last one in the Atlantic Division. In addition, there probably isn’t a worse time for the Canadiens to get hot with a high draft pick potentially on the line. Each point gives them less chance at securing a reportedly generational talent like defenseman Rasmus Dahlin, who would fit in perfectly alongside Weber in the Canadiens’ line-up. If it’s any consolation, it’s not like the Habs are playing lights-out hockey. I mean, it probably isn’t any consolation at all, but they should be losing… and badly, getting outshot in every one of the past seven contests, excluding their 3-1 win over the New York Rangers (who are actively tanking, themselves), by an average of over six per game. Now that’s old-time Canadiens hockey, right? 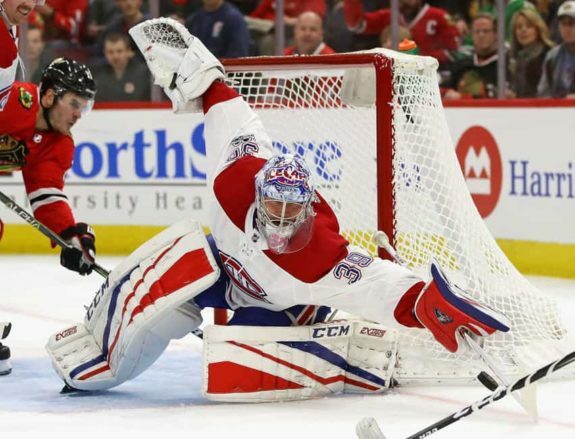 “Old-time” in the sense of around the point at which Habs management seemed to collectively decide goaltending alone is the way to win a championship, an era essentially bookended by Hart Memorial Trophy victories by Price (2014-15) and Jose Theodore (2001-02). Maybe go back even further if you want and include the likes of Jeff Hackett and Patrick Roy. Only the Habs didn’t enjoy any lasting success with Hackett in nets and the team Roy backstopped to its 1993 Stanley Cup victory was far deeper than many people give it credit for. In essence, it’s mainly Theodore and Price, in their primes, who embodied this largely disproven theory goaltending alone can win the Cup. Now, it’s seemingly biting them in the behind. Ironically only now when, after selling off assets at the trade deadline, the Habs finally seem to be on board with the notion that a retooling, if not a full-scale rebuild, is needed to get the team back on track. 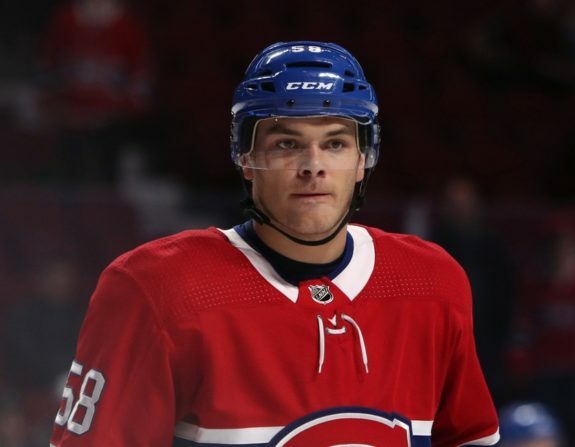 Not only are the team’s best players injured, “theoretically” improving the chances of the team securing a high draft pick, but the Habs are also getting lasting looks at players like Nikita Scherbak up front and Noah Juulsen on the back-end. Depth trade deadline pick-ups like Rinat Valiev and Mike Reilly, whom many considered little more than Laval Rocket fodder, also find themselves on the big-league roster. This is a good thing, especially seeing as the youngsters who have managed to get in playing time, like Scherbak and Juulsen especially, have far from disappointed. Many would be forgiven for thinking each one of those two, as 2014 and 2015 first-round draft picks, were taking much too long to make their presence within the organization known. Not anymore. As it happens, Juulsen may be in the midst of successfully auditioning for the third right-handed defensive opening on the team for next year. Granted, he’d only be one of three right-handed shots on the team, anyway (Weber, Jeff Petry), but Juulsen’s still been impressive. Meanwhile, Scherbak, who had been lighting up the American Hockey League with 30 points in 26 games, has at least brought a consistent effort level if not the same point production. He similarly seems like a virtual lock to stick with the team on the right side, what once was a wasteland. Where once there was a gaping hole in terms of talent, there now looks to be room for cautious optimism. Granted, neither one can realistically fill the No. 2 defensive spot on the left side or the No. 1 centerman slot, but progress is progress. Take the good news where you can find it, even it’s not necessarily welcome. It’s at least the type of news that restores confidence in the Habs’ ability to successfully draft talent without a lottery pick having to fall into their laps. There’s more relevance in that sentiment than ever before. Just as there is in the names Lindgren, Scherbak and Juulsen. Price, Pacioretty and Weber they aren’t, but they could be just beginning to earn legendary reputations of their own. That’s reason enough to cheer on the Habs when all else seems lost. It turns out the future may not be after all.